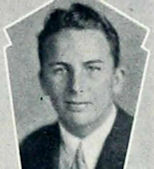 Harold Adelquist attended Los Angeles High School, where his skills as a cartoonist were evident in the yearbook (see sidepanel). He served in student government and on the Publicity Committee, a body that organised and sponsored student events, a foreshadow of his role at Disney. He also sang first tenor in the Boy's Glee Club. He graduated in early 1932 and went to work for the Disney Studio within a year. Whether he attended Chouinard Art Institute at studio expense like so many other Disney animators is unknown. His early career at the studio seems to have been built around the production side of animation. Hal worked as an assistant director on Snow White (1937), though he didn't receive screen credit for it. He was also tasked with leading training sessions for new and experienced animators alike, where they would work on character development and train animators in the technical skills necessary to film demos of their work. In 1938 he was moved to the Personnel Department. Among his lighter duties was organizing the employee picnics. By 1941, during the acrimonious strike against Disney by the junior animators and in-betweeners, he was in charge of all studio personnel. From Personnel, Hal was moved to head-up the Story Department. 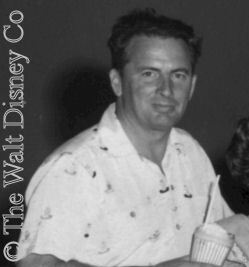 One of his more important, though lesser-known, roles during this tenure was to serve as a liaison between Walt Disney and his famous "Nine Old Men" of animation. Ward Kimball, in a 1980's interview with Michael Barrier, revealed the animators had chosen Hal as their spokesman, even though by position he was studio management. When Walt Disney first agreed to do the Mickey Mouse Club for ABC, he made two vital personnel decisions. He assigned Bill Walsh to produce it, and Hal Adelquist to act as general coordinator. In essence, Bill made the decisions (with Walt's approval for hiring and firing) and Hal carried them out. But Hal was much more than Bill's hands and feet. He sat in on every planning meeting for the show, developed ideas for Bill and Walt to greenlight, communicated and coordinated decisions throughout all the studio departments, and oversaw the talent scouts and casting directors in recruiting the Mouseketeers, guest stars, circus acts, and the Talent Round-Up Winners. He worked with costumer Chuck Keehne to develop the "mouse ear" caps from Roy Williams initial sketches. He also served on the editorial committee that planned and controlled the launch of Walt Disney's Mickey Mouse Club magazine, and selected and organized the technical crew that would actually produce the show. In Keith Keller's and Lorraine Santoli's official books on the club, Hal tends to be overlooked. His type of contribution left no visible traces in the finished product. His falling out with Walt Disney, subsequent demotion, and rumored alcoholism made him anathema to official histories. Only in Jerry Bowles' unofficial book on the Mouseketeers does he get the credit he deserves. Jerry was able to interview first season director Dik Darley for information on the show's inception. Dik's main liaison with the various studio departments and personnel was Hal Adelquist, and he consequently was able to see just how much the show's design and production owed to him. Throughout the first season of filming, Hal worked as production supervisor for "Fun With Music Day", "Anything Can Happen Day", and "Talent Round-Up Day". 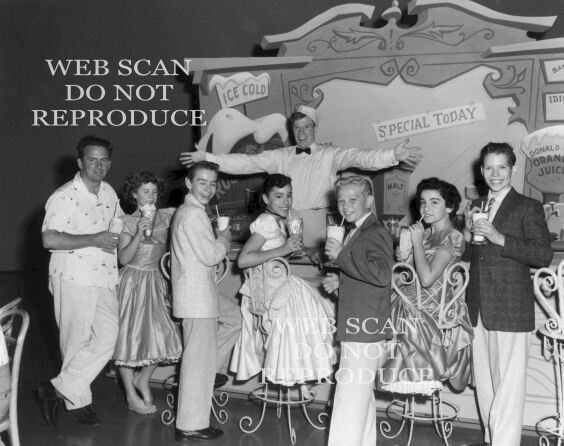 When the first season of filming was completed in early November, Hal was assigned to stage the shows for the Mickey Mouse Club Circus at Disneyland. Starting on November 25, 1955, the circus ran daily, including Christmas and New Year's Day, until early January 1956. According to a former Disneyland manager, the circus was the most difficult undertaking using live performers ever mounted at the park, and caused no end of frustration to those trying to make it work. If there is a tangible reminder of Hal's contribution to the show, it is that the production made it onto the air on-time, and was such a smashing success in it's first season. The nerve-wracking effort to bring this off in just a few months weighed more heavily on Hal than on anyone else. According to Jerry Bowles' informants, Hal's nerves were badly shot by the experience, and he began to drink heavily. At some point just after the end of the first season of filming, Hal's various production duties were assumed by Mike Holoboff. Hal was left with only the task of finding Talent Round-Up Day winners for the second season, which he undertook with Jimmie Dodd in a ten-city tour during late spring of 1956. He left the studio a short time later. According to Neil Gabler's Walt Disney: Triumph of the American Imagination (2006), Hal Adelquist resigned, then asked to be rehired, but was turned down by Walt Disney. He does not appear to have ever worked in show business again. A New York columnist interviewed him in 1977, by which time he had hit bottom. At the time of his death, on March 26, 1981, he was living in Long Beach, California with his mother.